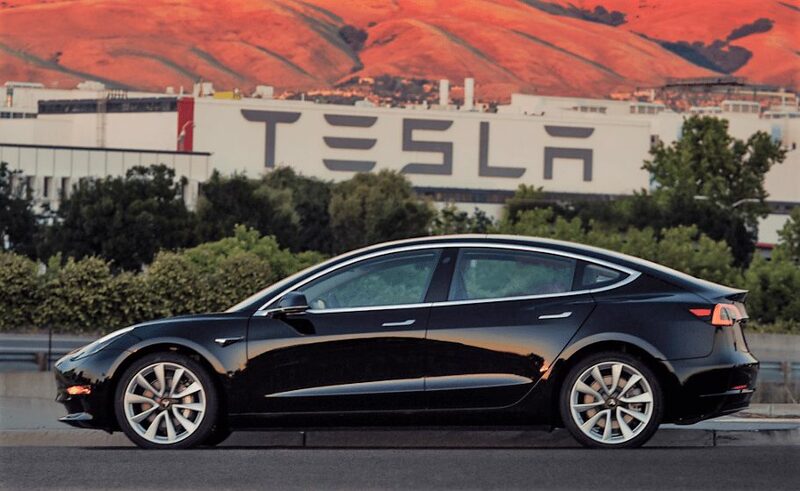 The first Tesla Model 3 vehicle has been delivered by Elon Musk's car company, two weeks ahead of schedule. Check out its impressive specifications. On Saturday, Elon Musk took Twitter by storm when he tweeted images of the first Model 3 to roll off Tesla’s assembly line in Fremont. Apparently, it was Ira Ehrenpreis, founder and managing partner of venture capital firm DBL Partners and also a Tesla board member, who paid in full for the first Model 3. However, as a gift for Musk’s 46th birthday, Ehrenpreis gave the rights to him. By tradition, Tesla delivers the first car off the line to the first customer to pay full price once the car hit the market. Musk owned the first production units of Tesla Roadster and Model X. However, the first Model S went to Tesla board of directors member Steve Jurvertson. According to Chicago Tribune in 2010, Jurvertson secured the Model S by writing out a check just before a board meeting and tossing it across the table. At $1,000 reservation per unit, Tesla has already taken approximately half a billion dollars in Model 3 deposits. The automaker’s proposed ramp-up schedule is expected to tighten its rivalry with other U.S. car manufacturers like BMW and Mercedes by the end of the year. By July 28, Tesla plans to hand over 30 Model 3 units to the first buyers on the list. After that, the company aims to increase production gradually, starting at 100 units in August. In September, the automaker is targeting 1,500 car units. Eventually, Tesla will ramp the production up to 20,000 vehicles a month by December. The roll of out of the Model 3 will begin in California, with the automaker focusing first on Tesla employees and Musk’s SpaceX rocket company. After that, Tesla will move on other U.S. reservation holders who placed their orders before the car’s unveiling some 15 months ago. New orders placed today will not be delivered until mid-2018 as per Tesla’s website. Zero to 60 miles per hour in 5.6 seconds speed. Driving mileage of up to 215 miles on a single charge, with an option to upgrade to a bigger battery. Glass roof that stretches from the car front to the rear. The glass will be designed to block UV rays and manage heat. Tesla’s Autopilot feature and high-speed Supercharging. Two trunks with about 14 cubic feet of combined storage space and rare seats that can fold to accommodate longer items. Car body made out of lightweight aluminum and cheaper steel. Tesla’s touch-screen control panel that will handle everything from navigation to climate control to speed. A comfortable five-person seating capacity. The Model 3 cars will be assembled at Tesla’s Fremont factory while its batteries will come from the automaker’s massive Gigafactory in Nevada. With these two factories, Tesla is hoping to reach its goal of producing 500,000 cars a year by 2018. Below is an amateur video taken of the Tesla Model 3 vehicle. Tell us what you think about it in the comment section below. Musk Describes First SpaceX Manned Flight Test as "Dangerous"
Not to be nit picky… but what are “rare ‘..seats?